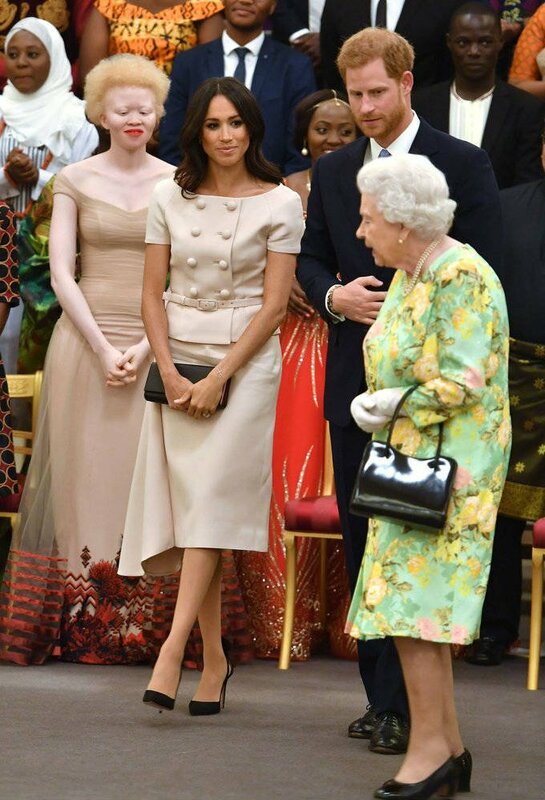 Prince Harry and Meghan attended the Queen’s Young Leaders Awards at Buckingham Palace, on Tuesday. And the new Duchess looked stunning. As usual. 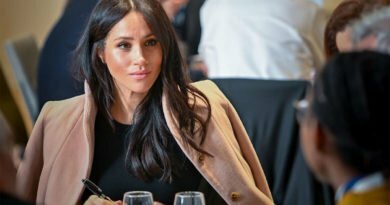 Meghan was wearing a powder pink Prada dress. She matched it with a pair of black Aquazzara shoes and a Prada Saffiano clutch. 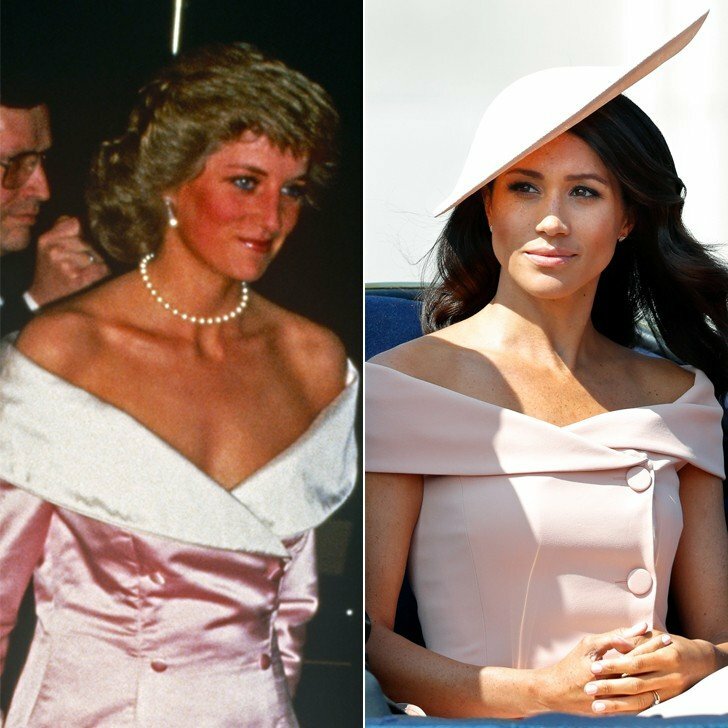 While scrolling through the photos from the event, Meghan reminded many people of many of Princess Diana ’s favorite fashion trend. The boxy power suit. Princess Diana, during the 90s, many times opted for skirt suits. There are many photos of Diana wearing an elegant two-piece. It was definitely her look. And she always looked gorgeous. 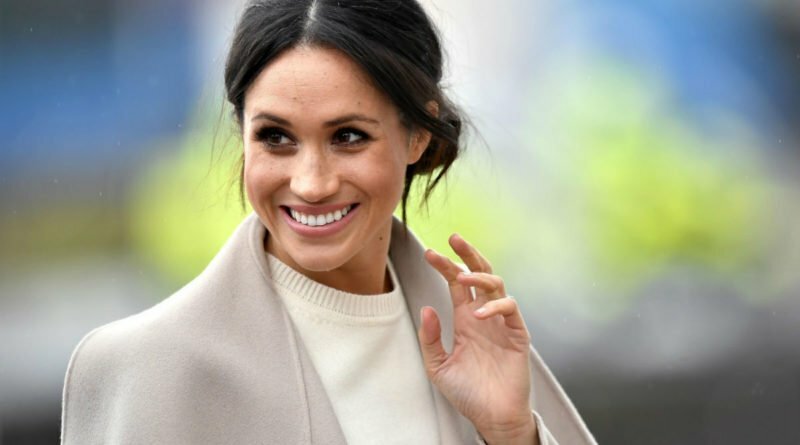 This is not the first time Meghan draws comparisons to Princess Diana. 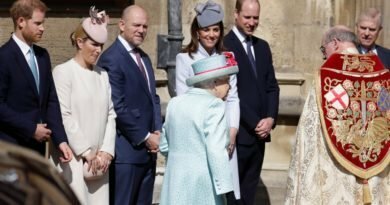 The Duchess of Sussex recently made an official appearance with the royal family for the traditional Trooping the Colour parade. 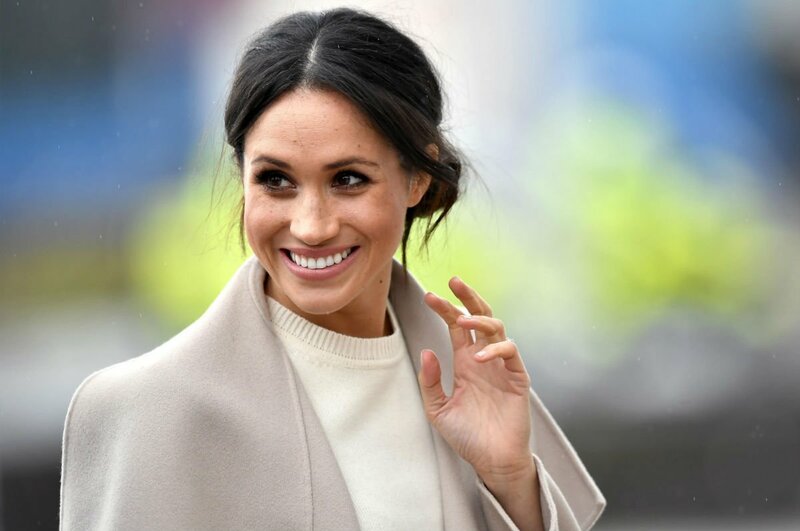 Meghan opted for a pale pink, off-the-shoulder dress by Carolina Herrera. Again, she reminded people of a dress Princess Diana once wore. It is a Catherine Walker ballgown with a similar neckline and light pink hue. Late Diana wore it during a visit to the Berlin Opera House in 1987. Both dresses had pink buttons down the bodice. But, the buttons on Diana’s dress were smaller. Also, they seemed more decorative than functional. Then, Duchess Meghan wore a printed floral maxi dress to Prince Harry’s cousin Celia McCorquodale’s wedding in Stoke Rochford, Lincolnshire. 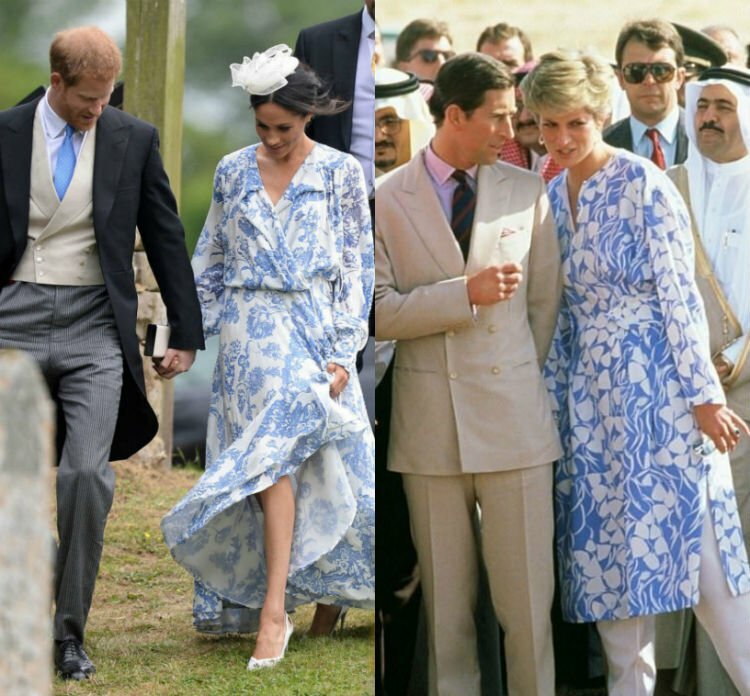 Eagle-eyed fans pointed out it bore a striking resemblance to a tunic by Catherine Walker that Princess Diana wore during a visit to Saudi Arabia in 1986. These are just recent examples. What do you think? Is she coping Diana’s style? Or maybe she just has a similar taste. 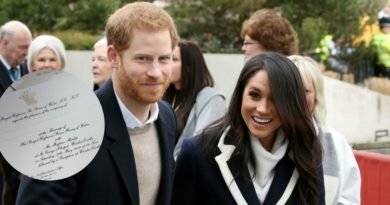 What’s The Reason Meghan Markle’s Real Name Wasn’t Written On The Wedding Invitations?